It would be a waste to throw away a perfectly good piece of wood, even if it is an old door. Your old door has unlimited uses if you think about it. Even if the wood is chipped or the paint is peeled, don't worry. You can fix that! Instead of tossing away useful pieces of wood, repurpose your old door into projects such as household furniture, picture frames and mirrors. 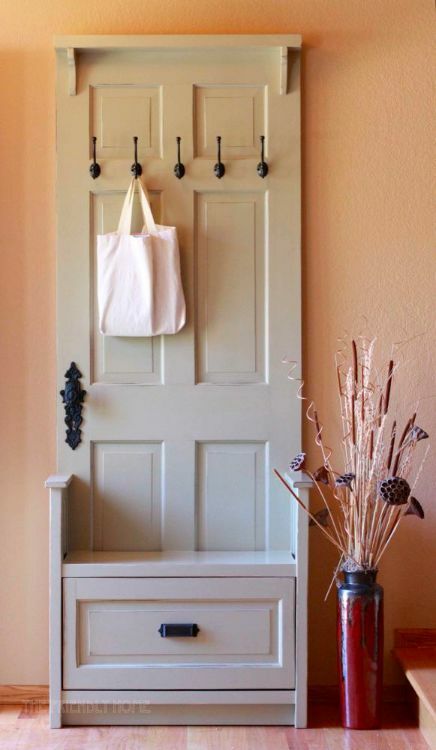 We have compiled 12 brilliant DIY tutorials on how to transform an old door into treasured pieces for your home. This project is a simple and economical way to DIY your own coffee table. Not only is it unique, it is also practical with so much storage space. If you prefer to paint over the wood, by all means go ahead! 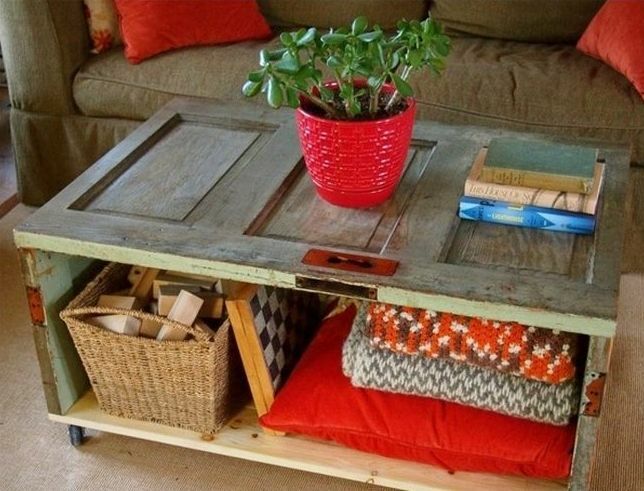 This coffee table is customizable to your preferences, which is the best part of DIY furniture. Find the DIY here. 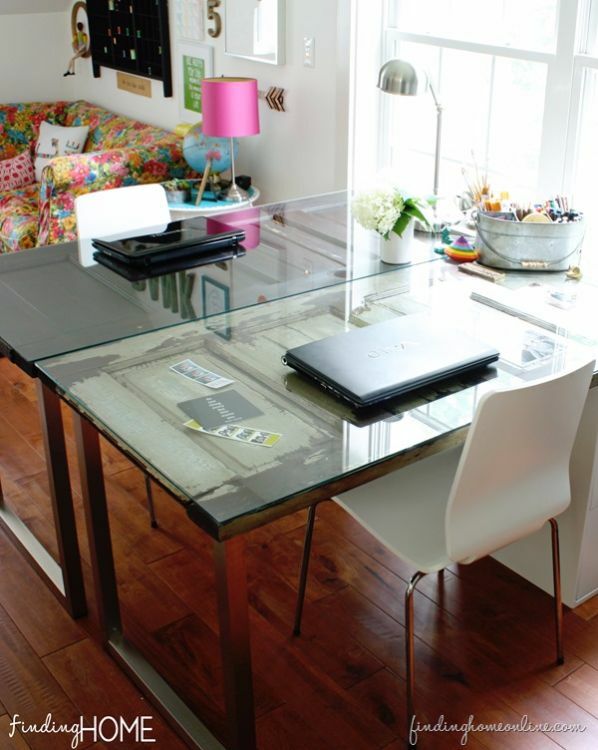 Revamp your office space with this desk made out of your old door. How amazing does it look? Watch your productivity levels soar when you sit down to work at this desk. See the full project here. Imagine walking through your front door and seeing this beauty waiting for you to hang your coat on. Yes, we are swooning over this piece! This modern look is simple yet practical with a storage drawer at the bottom. Check out the tutorial here. Tired of having your place cluttered with gardening tools? 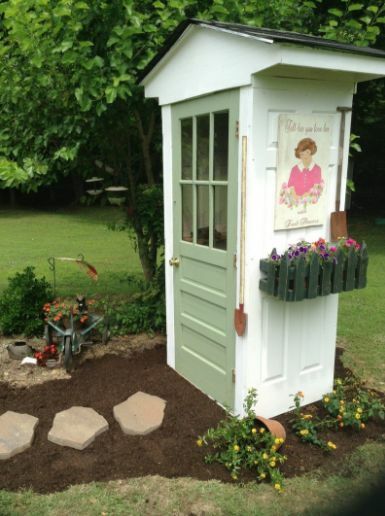 Repurpose your old doors and create a garden shed. 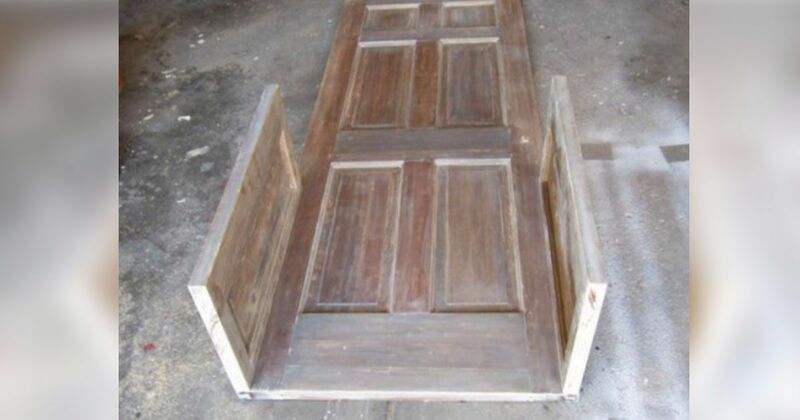 This easy and simple tutorial teaches you how to transform your old doors into this nifty storage room. Don't know what to put in the corners of your space? 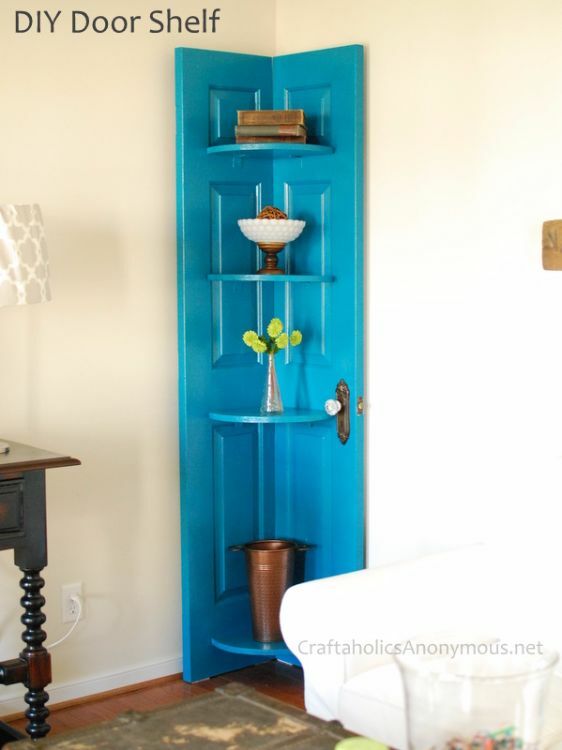 Try this corner door shelf by following this easy DIY tutorial. This is a wonderful way to display your favorite treasures and add a bit of oomph to your home. An ideal way to separate your spaces is to use room dividers. 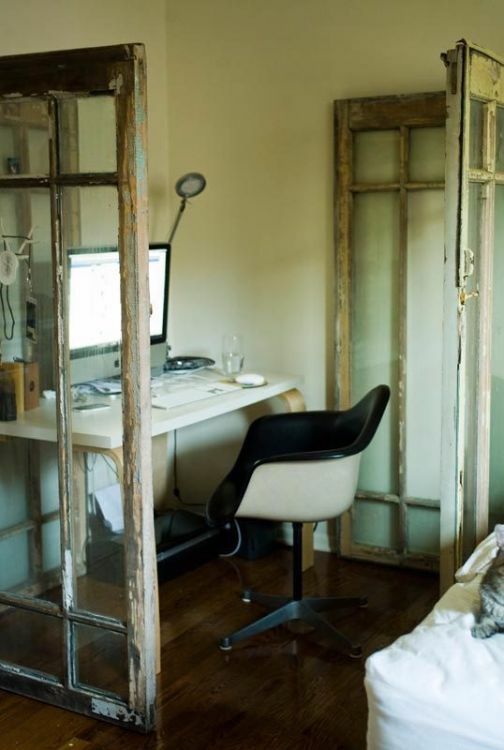 Old doors make perfect dividers. It is eco-friendly, simple and affordable, and will make your space look organized. Check out more interior inspiration here by Apartment Therapy. 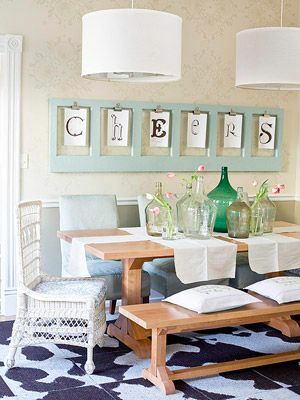 This easy project brings a pop of color and uniqueness into your home. Display your art in your living room so all eyes can appreciate it. This is a fun way to show off your kids' drawings. Here is the tutorial to get you started. 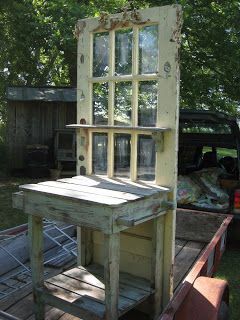 Add this lovely potting table to your garden, porch or patio to take care of all your gardening needs. Here is the simple tutorial. 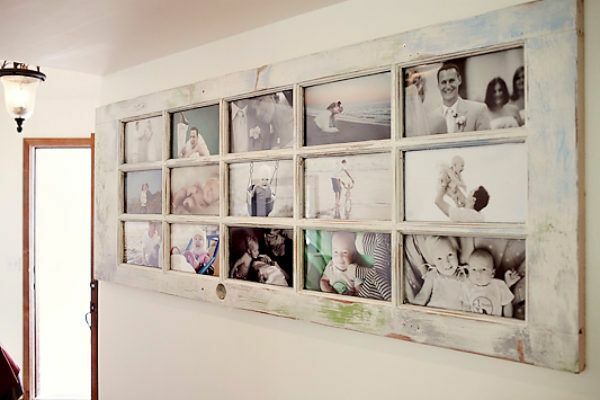 Display your most treasured memories with this DIY picture frame made from your old door. Check out this quick and simple tutorial by The Whoot. 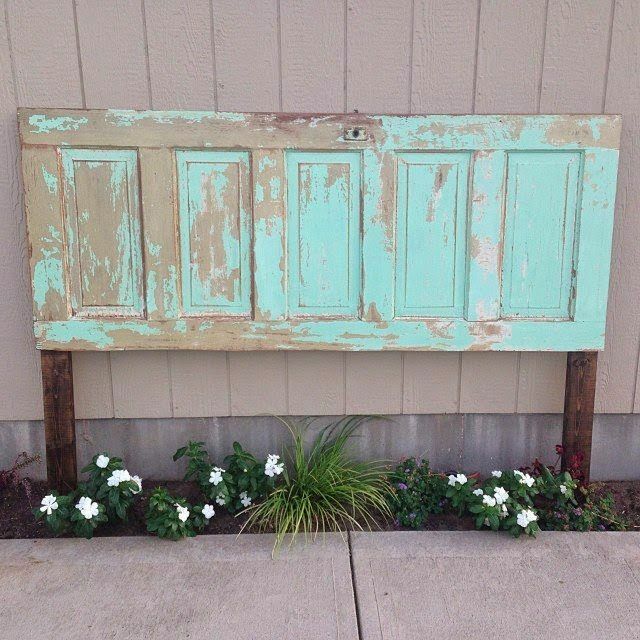 Repurpose your old door into this rustic headboard, which would look wonderful in your bedroom. Here is some DIY inspiration. This display shelf is perfect to give your home a cozy, rustic look. Check out the easy tutorial here. 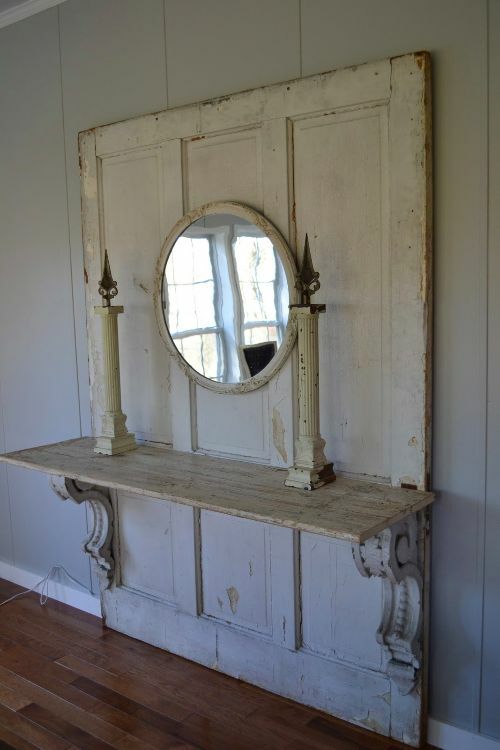 We absolutely love the look of this vintage full-length mirror. All you need is your old door and a piece of mirror. Find more inspiration here. Be sure to SHARE this awesome DIY list!